I suppose I'll pass on that! What's with a snow storm in the middle of April? Aren't we suppose to have April showers? 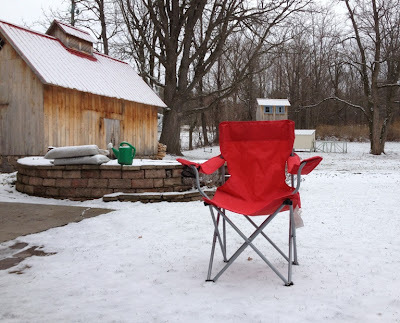 As I write this blog entry, it's a full fledged snowstorm!!! Speaking of winter weather ..... it would be appropriate for me to share with you what I have been working on. Aren't they the cutest! 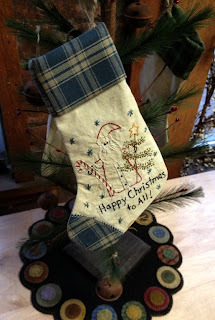 The pattern is called Little Christmas Stockings by Sue Barri Gaudet! I must share a story about these little gems. The Shoppe Troll, as she likes to be referred, pieced these for me. She's not into hand work and as you know, I certainly am. When she's at Fibre Junction, I leave some projects for her to work on. So .... I come in one morning, and see a sample of the stocking she worked on the prior day. I think they are adorable! And .... just in time for this wintry Spring season. ;o) Well .... in Upstate New York anyway! Thank you so much for stopping by! Cheers! That is one reason why we decided not to move to upper NY, lol. I love snow, but not in April, but we are getting a good rainstorm today. 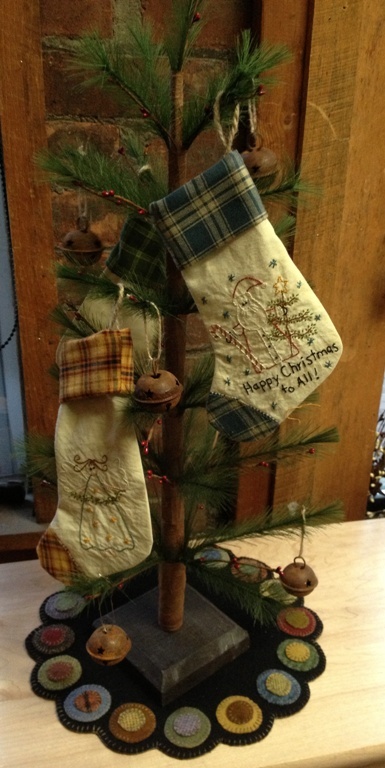 Wonderful pieces for Christmas. I have lots of patterns I want to do, but will have to wait till summer so I can get a few things done first. I'm really sorry! I've been sitting on my back porch enjoying the weather for a few days now. I don't know if I could have handled another cold week! Love the stocking story, and I would definitely take it as a compliment! Sorry about your snow! It's cold here in Iowa this morning, but no snow in the forecast for us, thankfully. 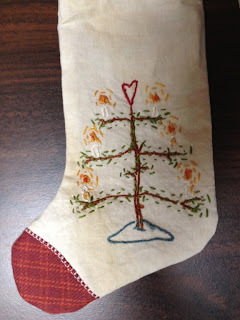 No wonder you have snow.....working on Christmas stockings stirred it up. Oh my...no spring tans for you!!! I wish the back of my stitching looked that great. Too funny! Wear a cap and scarf when you sit on that chair dear Carole! Ohmygosh -- that's hysterical! Are you going to change it and put the right side out? I have a pet owl.....! I've been a busy quilter....!